Geneva Gertrude Newcomb, age 81, of Knoxville passed away early Tuesday morning, December 25, 2018 at her home. Geneva was a member of Dante Church of God. She retired from Shannondale Nursing Home after 30 years of service. Geneva is preceded in death by her husband, William Leslie Newcomb; brothers, Joe, Bob and Lee; sister, Margaret Lou. 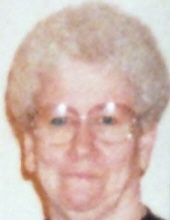 She is survived by her sons, Gary Newcomb, Leslie Newcomb and wife Patricia, Roger Newcomb; grandchildren, Tonya Newcomb, Crystal Newcomb, Nicole Newcomb, Christopher Newcomb; great grandchildren, Jazmyne, Maliq, Malachi, Eli, Prince, Madisyn, Brandon; great great granddaughter, Ky’leigh; several nieces and nephew. The family will receive friends from 5 to 6:45 p.m.Friday followed by a Celebration of Life at 7 p.m. at the Click Funeral Home Middlebrook Chapel with Rev. Jeremy Daniels officiating. Family and friends will gather at 10:30 a.m. on Saturday at Solway Church of God for graveside services with Rev. George Swain officiating. Click Funeral Home, 9020 Middlebrook Pike is serving the Newcomb family. To send flowers or a remembrance gift to the family of Geneva Gertrude Newcomb, please visit our Tribute Store. "Email Address" would like to share the life celebration of Geneva Gertrude Newcomb. Click on the "link" to go to share a favorite memory or leave a condolence message for the family.